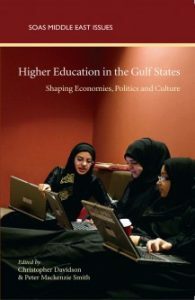 Nowhere in the world is university education expanding as rapidly as in the six-member state of the Gulf Cooperation Council. In two generations the region has gone from having the Middle East’s least educated population to boasting a younger generation whose educational achievements are approaching Organisation for Economic Co-operation and Development (OECD) standards. This unique study, with contributions by key decision makers, charts this dramatic development, exploring the challenges faced and placing accomplishments within the social, economic and political context of the region.